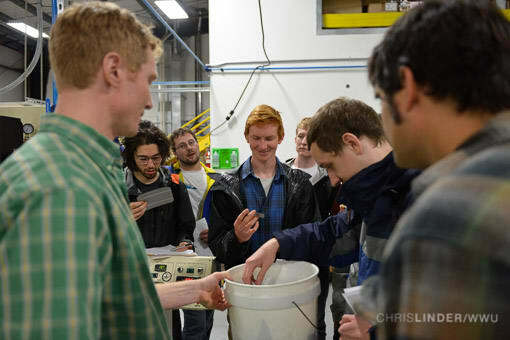 Institute for Energy Studies has raised $ 6,698 from 22 gifts! A generous donor has issued a 1:1 Match for Gifts to the Institute for Energy Studies Women in Leadership Scholarship to help even more students pursue this important area of study. 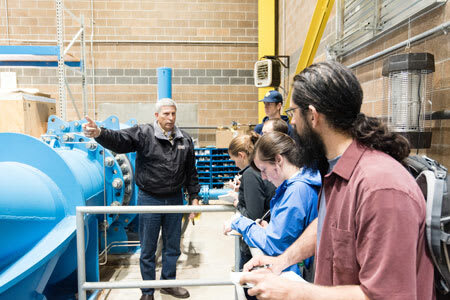 The Institute for Energy Studies (IES) at Western Washington University (WWU) is a multi-college collaboration that offers interdisciplinary undergraduate degrees to address the science, technology, policy, business and economic aspects of energy systems. Understanding the technology and economics of energy use reveals opportunities for new technologies and policies to improve energy efficiency throughout the economy, reducing costs and emissions. As the electricity industry evolves from a static, centralized structure toward dynamic, distributed models, there will be new challenges to integrate and balance resources as diverse as solar, wind, hydro, bio- and fossil-fuel energy with smart grids, smart buildings and plug-in vehicles. Technologies to make fossil fuels cleaner and substitute biofuels are in development. Our graduates will find opportunities to develop innovative ideas, from advanced technology to new business models, that transform the energy system toward a more sustainable path. Private support allows the Institute to directly support student learning through scholarships, travel to conferences, and provides research opportunities among other things. It also allows innovation in designing new classes, funds the purchasing of laboratory equipment, and connects Institute to the broader energy community by supporting symposia and visiting scholars.